In amazingly poetic fashion, at one of the setting’s of Prince’s film Purple Rain, Slipknot and Stone Sour vocalist Corey Taylor played a one-off rendition of “Purple Rain.” That morning, the entire world was shocked to learn of breaking news that Prince Rogers Nelson had suddenly died at his home in suburban Minneapolis. One of the greatest songs of our time, it is not an easy to do it justice, but Taylor pulls it off in a stripped-down fashion. He simply approaches the mic at First Avenue in Minneapolis. Along with a plugged in guitar he acknowledges the crowd and simply launches into the epic ballad. By the time he reaches the chorus, the entire audience is singing along – that is, between unbridled yelps of excitement. 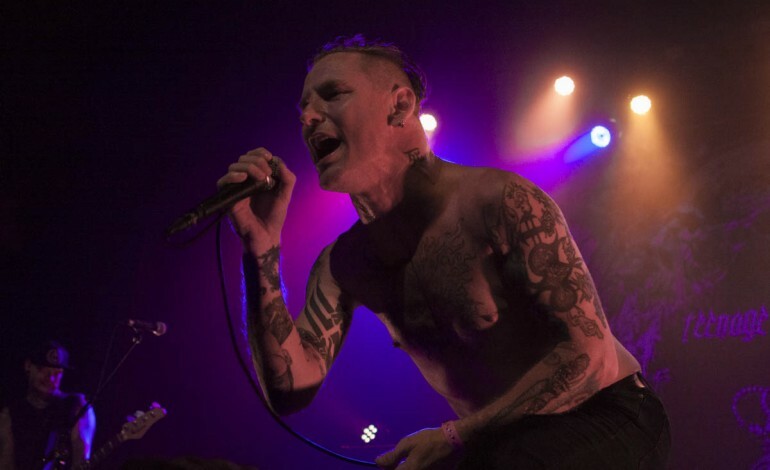 In addition to performing “Purple Rain,” Corey Taylor gave the crowd a taste of “Little Red Corvette.” Although it is less striking than the opening number, it results in another jubilant singalong among the members of the crowd. Taylor gives the song an folksy makeover, trading funky guitar stabs for acoustic strumming. It has been a few years since Slipknot and Stone Sour have released music, but Corey Taylor has stayed busy with a song on the Teenage Time Killers album as well as voicing an alien on Dr. Who.